Toss 'em and catch 'em! It's a fun "get wet" set! Toss 'em, catch 'em – It's a fun "get wet" set! 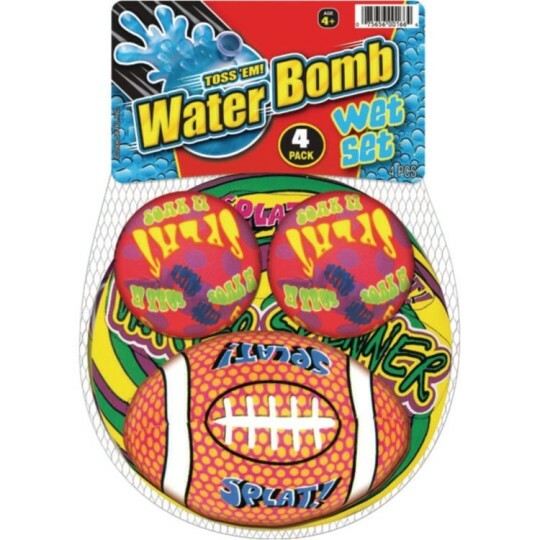 Water toy collection includes 3 water balls and 1 flying disc.